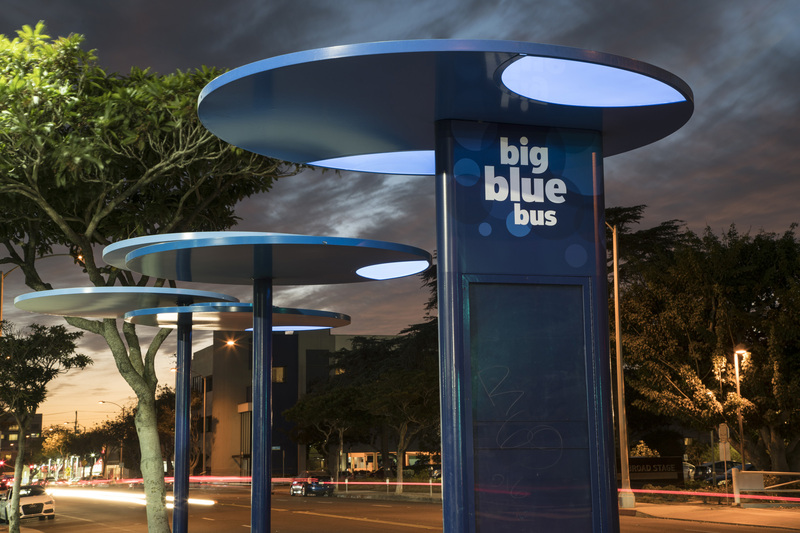 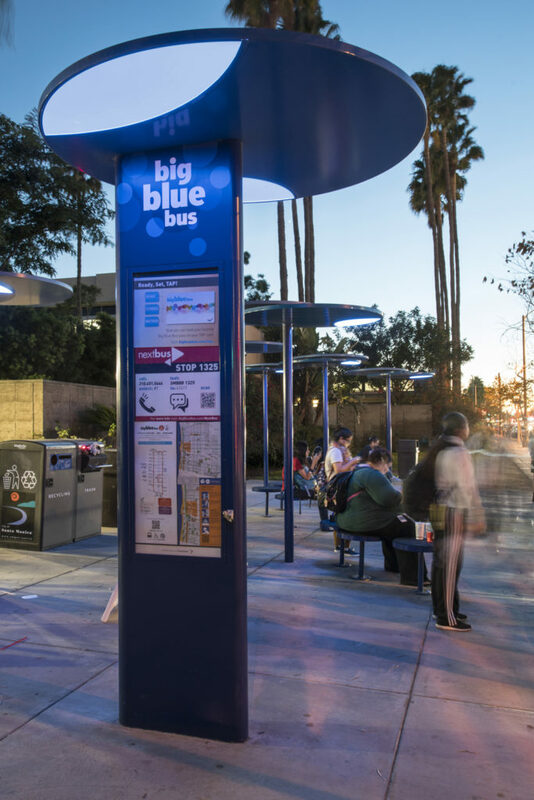 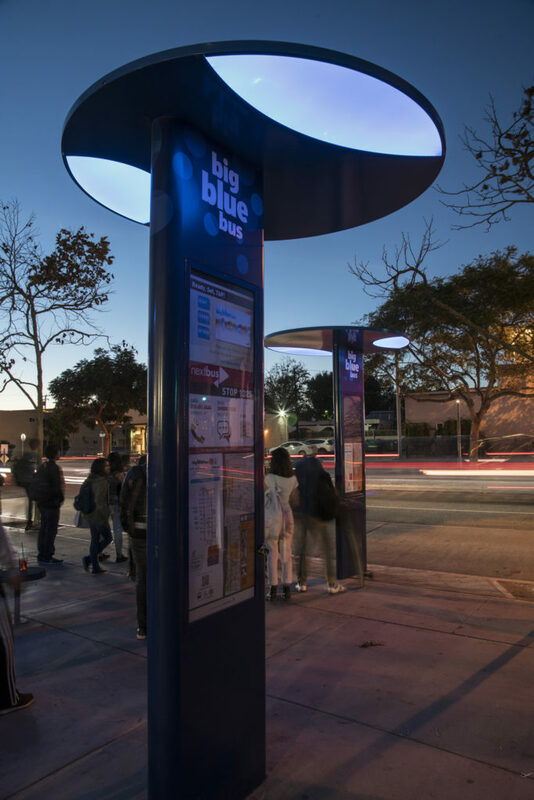 The LED lighting adds a night-time visibility to the bus stop canopies. 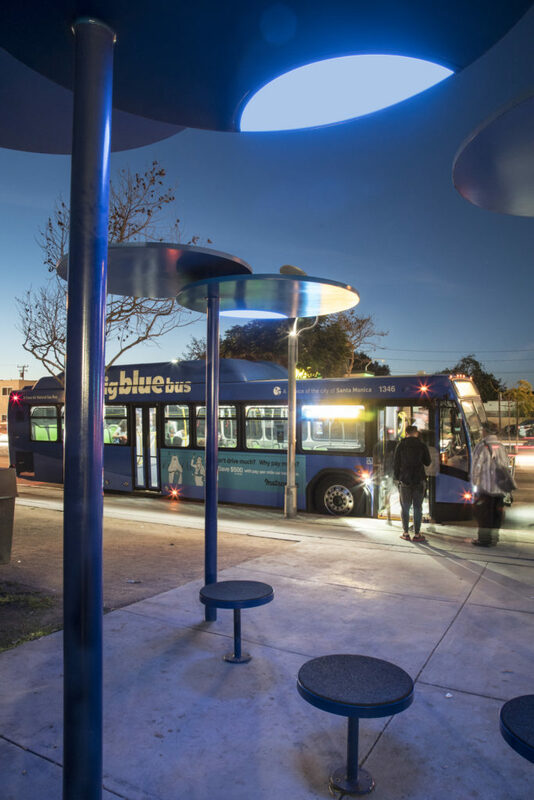 Driven by photovoltaic power, the off-grid solution is the definition of sustainable. 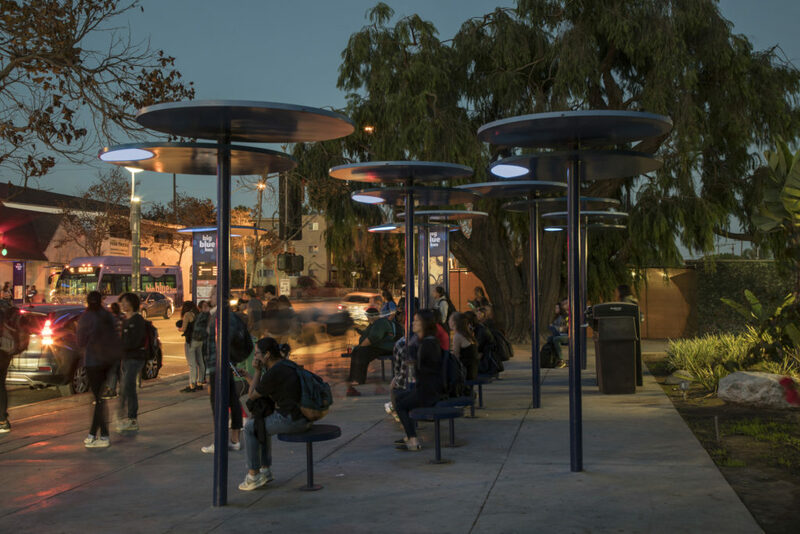 This project was designed by Dawn Hollingsworth while at IBE.